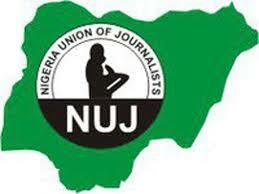 Briefly, the Nigerian Union of Journalists (NUJ) is the umbrella body of all journalists in the country; established on March 15,1955, in Lagos. The union also serves as the regulatory body of journalism activities in Nigeria as it relates to the practice of the profession. The Union, during the dark era of the military in Nigeria posed a challenge to the dictatorial regime of the military and some of its members paid the supreme price for it. In recent times, especially since the coming of democracy they have been up and doing, but recent happenings in the polity as it affects the journalist needs to be more challenged by the NUJ other than issuing statements condemning such acts. On April 4, 2017, the Chief Security Officer to President Muhammadu Buhari, Bashir Abubakar expelled Olalekan Adetayo, Punch Newspapers state house correspondent from the Aso Villa for writing stories considered uncomplimentary of Buhari and his administration. This action drew a lot of condemnation from Nigerians and opinion moulders including the NUJ, apart from condemning the action the NUJ did nothing else. In the same vein, soldiers drafted to Abia for the ongoing Operation Python Dance II invaded the Abia NUJ secretariat where journalists were beaten, their gadgets damaged. The soldiers accused the journalists of taking their picture while their show of force was going on. Apart from condemning the invasion, the NUJ hasn’t taken any further step to prevent future occurrence. Also, on Sunday September 27, 2017, the Imo State Governor, Rochas okorocha banned two journalists from the government house, after they were accused of writing stories against the Imo State government. The governor further promised to make sure the journalists are posted from the state. As at the time of writing this piece, the only statement in public domain about the incidence is the one by The Independent Newspapers Publishers Association (INPA) and none from NUJ. These incidents are few of what Nigerian Journalists have experienced in the year 2017 which the NUJ have done nothing other than condemnation. Challenging these cases in courts will serve as a means of seeking legal redress and judicial pronouncements which will serve as a point of reference for future actions; as seen in the operations of groups like Amnesty International, Media Rights Agenda and Paradigm Initiative Nigeria. The NUJ have talked enough, it’s time to act.